Recent decades brought a revolution to biology, driven mainly by exponentially increasing amounts of data coming from “’omics” sciences. To handle these data, bioinformatics often has to combine biologically heterogeneous signals, for which methods from statistics and engineering (e.g. machine learning) are often used. While such an approach is sometimes necessary, it effectively treats the underlying biological processes as a black box. Similarly, systems biology deals with inherently complex systems, characterized by a large number of degrees of freedom, and interactions that are highly non-linear. To deal with this complexity, the underlying physical interactions are often (over)simplified, such as in Boolean modelling of network dynamics. In this review, we argue for the utility of applying a biophysical approach in bioinformatics and systems biology, including discussion of two examples from our research which address sequence analysis and understanding intracellular gene expression dynamics. 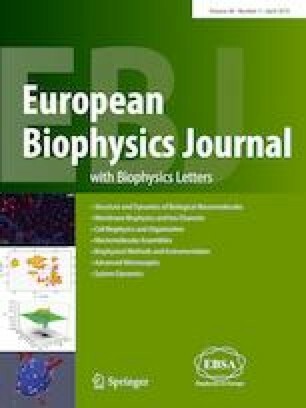 Special Issue: Regional Biophysics Conference 2018. This work was funded by the Swiss National Science foundation under SCOPES Project Number IZ73Z0_152297, and by the Ministry of Education, Science and Technological Development of the Republic of Serbia under Project Number ON173052.